Serving Indianapolis for over 87 years, since 1919. 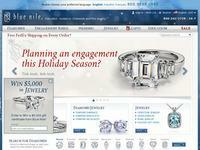 Helps customers make educated jewelry buying decisions. Established in 1919 to serve the rapidly growing city of Indianapolis. In view of their rich history, Windsor Jewelry believes that the relationship they build with you today is the key to their future. Windsor Jewelry's employees have been with the company an average of 20 years. Every jewelry purchase at Andrew's Jewelers comes with a free lifetime warranty, covering stone loss, ring sizing, and polishing. See the amazing Andrew's Jewelers collection. Indianapolis Jewelry. Moyer Fine Jewelers is the premier fashion jewelry retailer in the Indianapolis area.